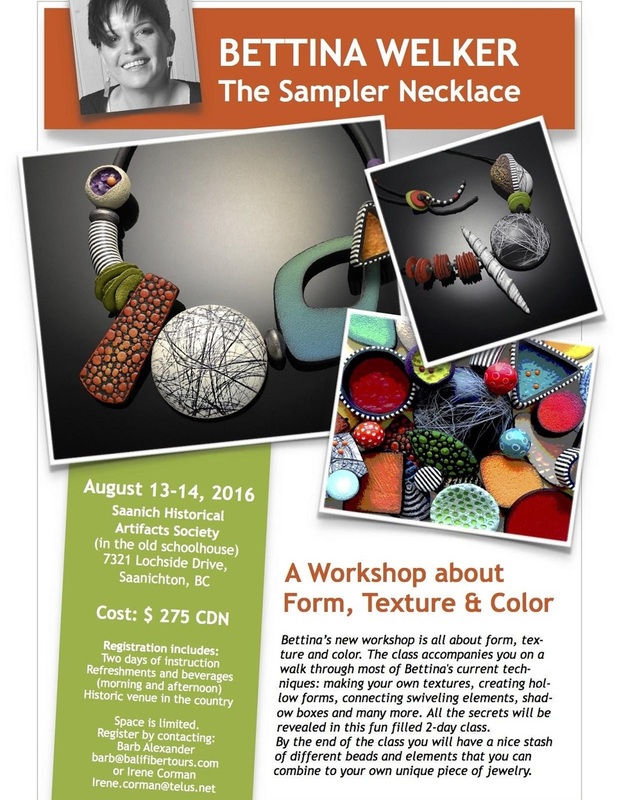 Bettina Welker will be giving a workshop in Victoria in August. Full information is on the poster below. Be sure to sign up early as space is limited. Contact either Barb Alexander or Irene Corman for registration.